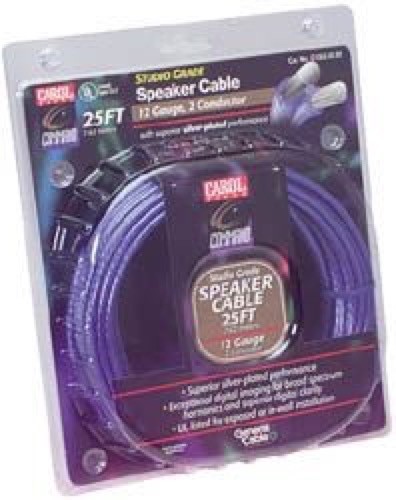 Carol 16gauge/2conductor Studio Grade Speaker cable, 100ft package by Carol Command Series. Superior silver-plated performance. Exceptional digital imaging for broad spectrum harmonics and superior digital clarity. UL listed for exposed or in-wall installation. Package for retail display.